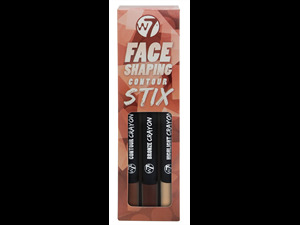 The ultimate contour set by W7. 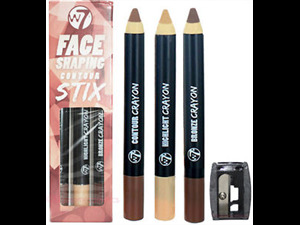 Pack includes a highlighter and two darker pencils, a pencil sharpener and step-by-step instructions. The highlighter works to enhance features such as under the brow, bridge of your nose, cupid's bow, under the eyes and part of your forehead. 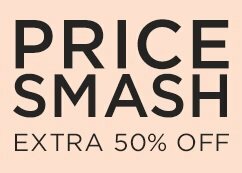 Perfect for enhancing your cheekbones. 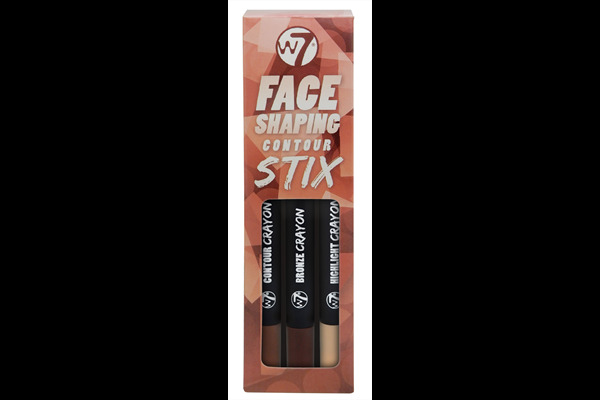 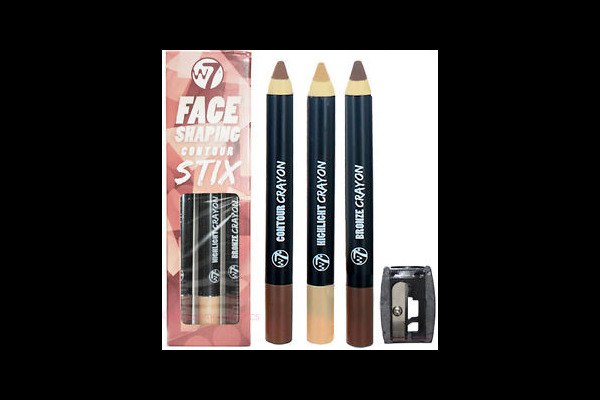 The two darker shades are used for definition and contouring, as they help to shape and define your natural bone structure. 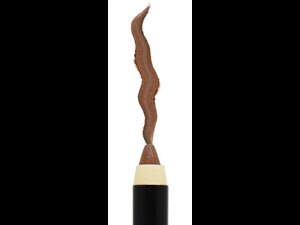 The creamy formula is ultra-blendable, delivering a pro makeup artist result.